The Brush Road Corporation Board met this weekend. We believe that you and your client have been fully educated as to the situation with the drainage structure on your client's land, over and above the education we provided in September 2nd of 2007. You are in possession of the facts. We have spent significant time and money to obtain these facts. Based on these facts we have negotiated with the State in good faith to get a contribution from the California Department of Transportation to fix the problem, a fix which is predicated on your client granting a permanent drainage easement to the Brush Road Corporation so that it can build and maintain the drainage going forward. 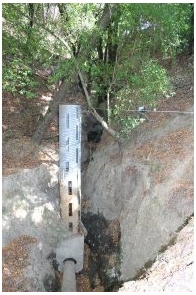 This proposal would greatly reduce your client's current exposure for repair & maintenance of the drainage structure and the direct liability for the current and any future hazard from 100% to 3% (1/30); and then cover this liability through an insurance policy and the structure of the California Corporate law. 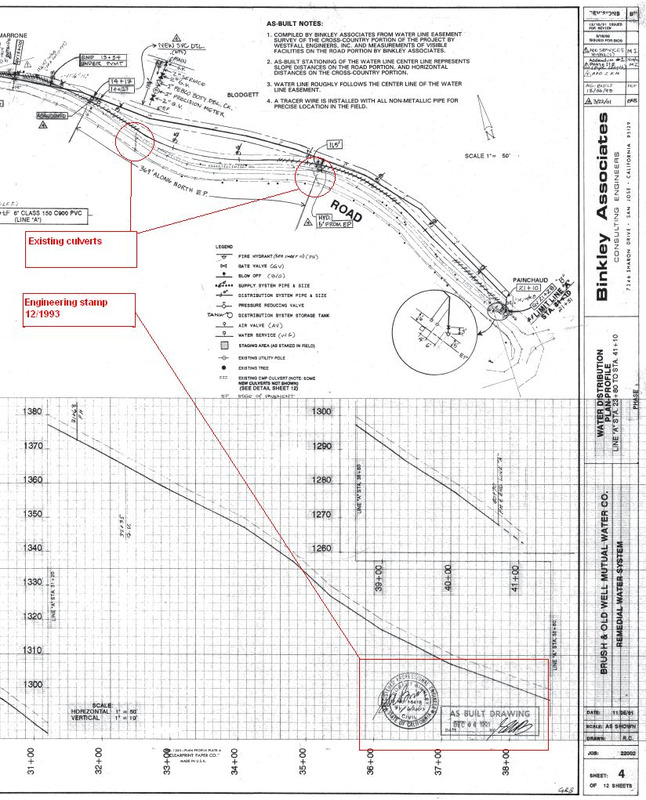 It is our understanding that while the area of the proposed easement (2 acres) covers 13% of your client's land, this easement would not subtract from the area to be considered for slope density requirements, nor would it preclude any building in the area that is otherwise possible; so there is no loss in value to your client for this considerable reduction in liability. We need an indication from you as to your client's intentions. By law, the normal excavation season closes on October 15th in this county of California, (as such projects taking place in the winter season must follow very expensive additional requirements, or are simply impossible; See Santa Clara County Grading Ordinance Sections C12-517 and others). Our contractor wants a one month window, so he will not start after September 15th, which is less than a month from today. In order for us to obtain the required building permissions and scheduling, we need to know by this Friday (August 22nd) whether your client intends to grant the easement. We believe our offer is quite enlightened - 20 years ago the neighbors created a corporation to pool our funding and hire experts to maintain the entire road; rather than depending on the varying skills, funding availability and focus of each neighbor to maintain the portion of the road on their land, and those portions of the road on the overlapping easements each may own on other's land. Our offer is to expand the scope of the Corporation to build & maintain the replacement drainage. We are quite willing to back off, and allow your client to continue to carry the liability for his land and to proceed with the repairs he feels are necessary and prudent to remove the threat the drainage structure poses to the access road and to also remove or reduce the threat that the hole itself poses to motorists traveling on the access road. We would encourage your client to proceed quickly to perform the necessary engineering studies, identify & engage contractors, and deploy a repair, as the same building requirements apply; and additionally to perform such a repair so that it does not damage the road owned by the corporation (or if so, such that the damage is quickly repaired in a manner satisfactory to the Corporation). We must remind you that while we have had two dry winters, it is quite likely that weather patterns could return to normal this winter (light rain is predicted for northern California this week). If we do not hear in the affirmative from you by this Friday, we will assume that your client wishes to retain the liability for the drainage structure, and we will back out of our efforts. We would seek your client's reimbursement of the money the corporation spent in engaging engineering, legal and surveying expertise. We will tell the State that we could not get your agreement and hence we can not accept the $42,000 dollars. We will watch quite closely to observe the progress of his repairs. The Brush Road Corporation has a duty to defend its members against any reduction in property values due to your clients failure to ameliorate the threat posed by his failing drainage, should he decide to through inaction, allow a partial or complete collapse of the road to occur.